All junk and rubbish cleared out. Whether you need to clear out your office or shed, we got you covered! 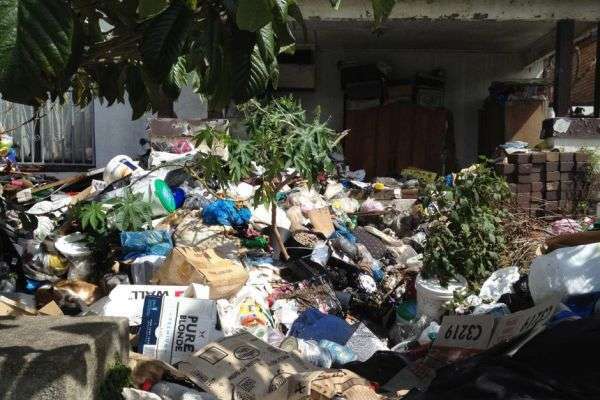 Rambo's Rubbish Removal Sandhurst offers complete rubbish removal services for your home or business premises including residential, offices, demolition, deceased estates and more. As a locally owned and operated Rubbish Removal business, we understand what the locals want. From small waste collection jobs to complete property clean-ups and junk removal, we will get the job done fast. LIGHTNING FAST RUBBISH REMOVAL AT AFFORDABLE PRICE! SERVICING SANDHURST & THE SURROUNDING AREAS. Dispose of all your unwanted rubbish quickly, cleanly and cheaply with Rambo’s Rubbish Removal Sandhurst. We’re local, reliable and friendly. For all commercial, domestic or industrial waste & rubbish collection, we’ll have you sorted. We come to you at a time that’s convenient, provide an upfront, all-inclusive quote and immediately remove and recycle all your unwanted rubbish. Our rates are some of the best in Sandhurst. Fast and cheap rubbish removal in Sandhurst, call tony on 0419 302 990.